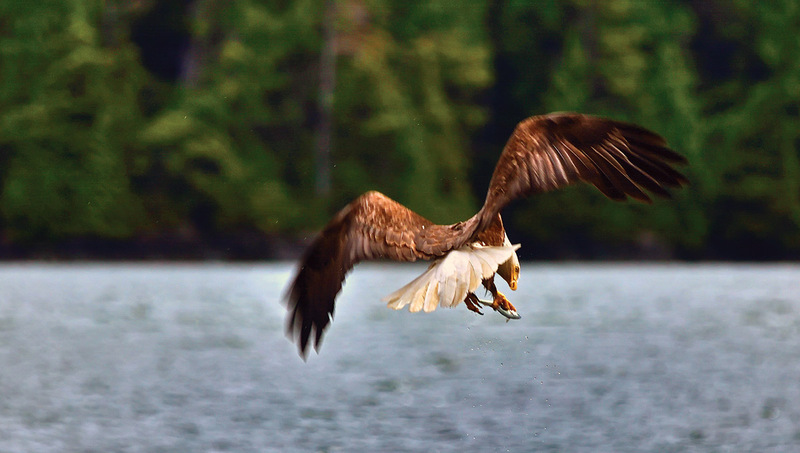 Eagles nests, marine life and a secluded beach in the rainforest! 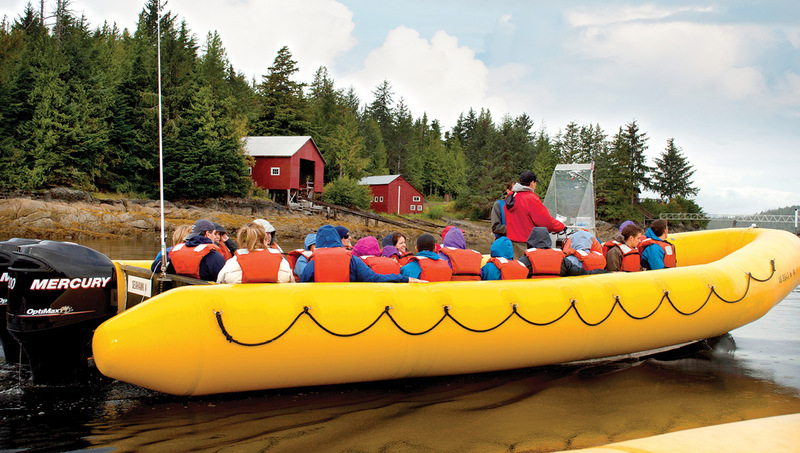 Tour includes round trip transportation from dock; quality raingear; life jackets; snack and beverages. 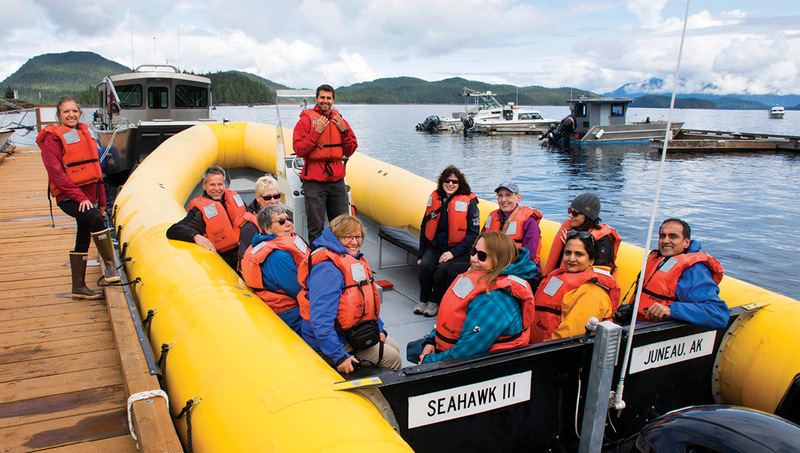 A motorized rigid hull inflatable Seahawk provides a short, but exciting cruise along the coast of Clover Passage where whales, sea lions, seals, porpoise, bald eagles and migrating seabirds may be spotted. 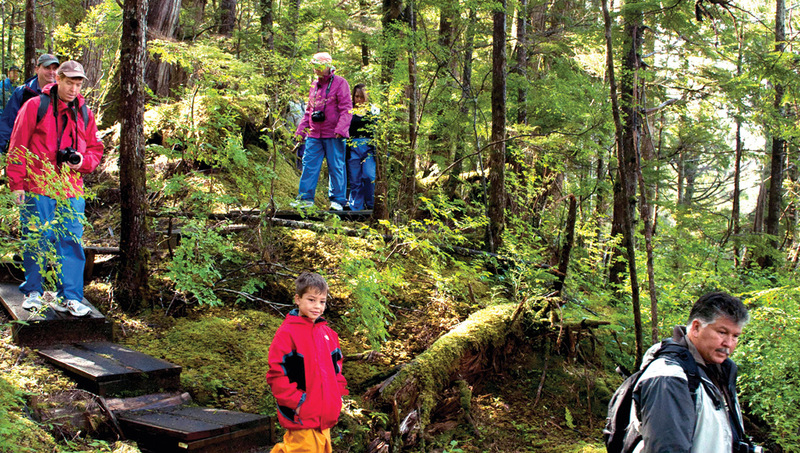 Join your naturalist guide on a secluded beach in the Tongass National Forest, for a walk through natural, unspoiled beauty in the coastal rainforest on Betton Island. 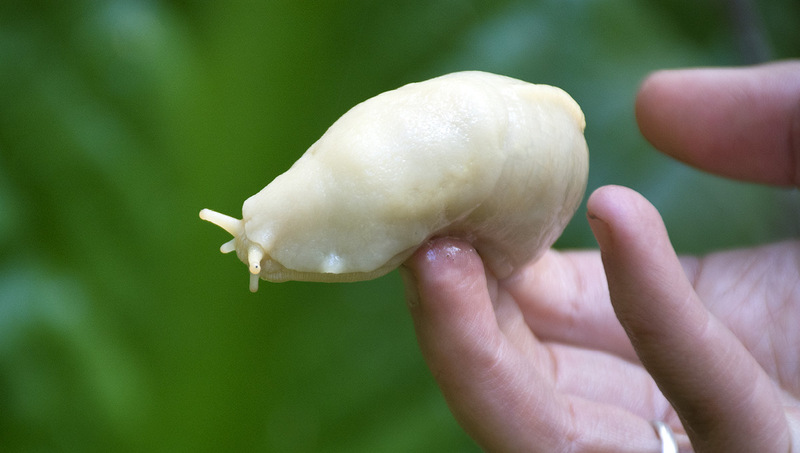 Hike through the beautiful old growth forest, and learn about botanic species native to this region. 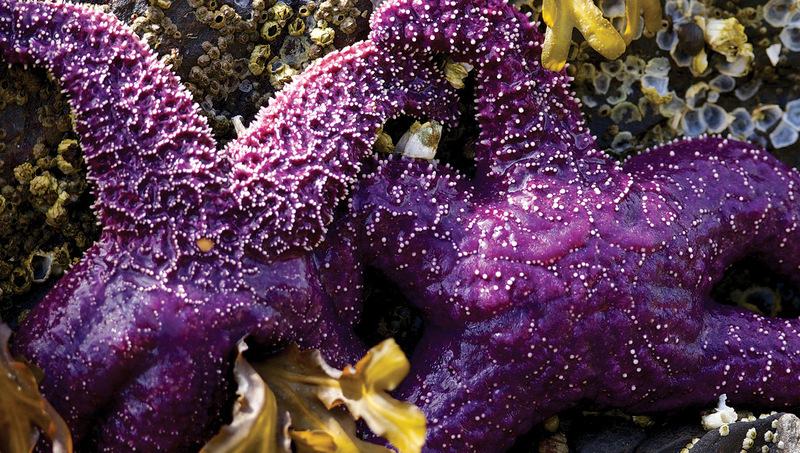 Enjoy an Alaskan snack at a campfire and take some time to explore tide pools or other interesting elements of the natural beauty around you before returning. Notes: Dress comfortably in warm layers and sturdy walking shoes. Restroom facilities are limited. Moderate to good physical condition is necessary for participation in this excursion. This trail has a gradual slope and is well maintained. Children must weigh at least 40 pounds in order to fit into required life jackets. Children 12 and under must be accompanied by an adult. Children 13-17 must have a signed parental consent form to participate in the absence of a parent or guardian. 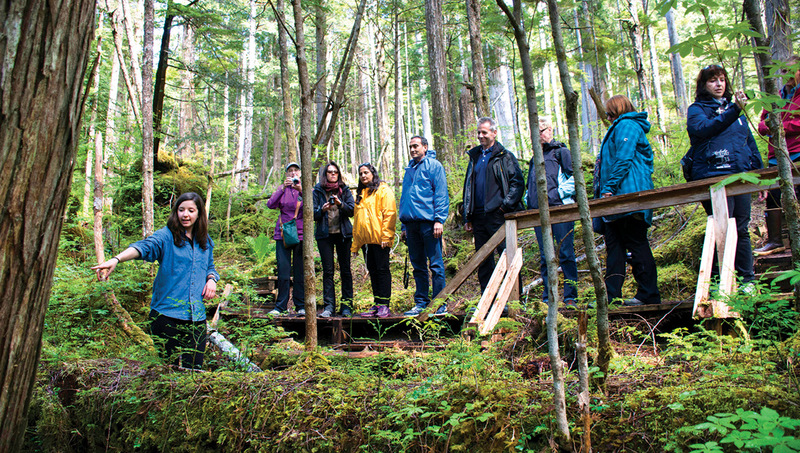 This tour operates under a special use permit with the USDA Forest Service and is and equal opportunity provider. 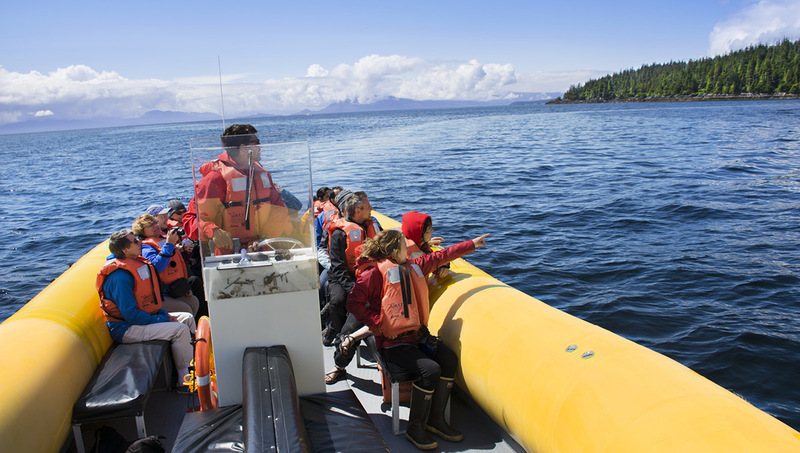 A motorized rigid inflatable Seahawk provides a short, but exciting cruise along the coast of Clover Passage to a remote island in the Tongass National Forest. Whales, Stellar sea lions, harbor seals, porpoise, bald eagles and migrating seabirds may be spotted on this route. 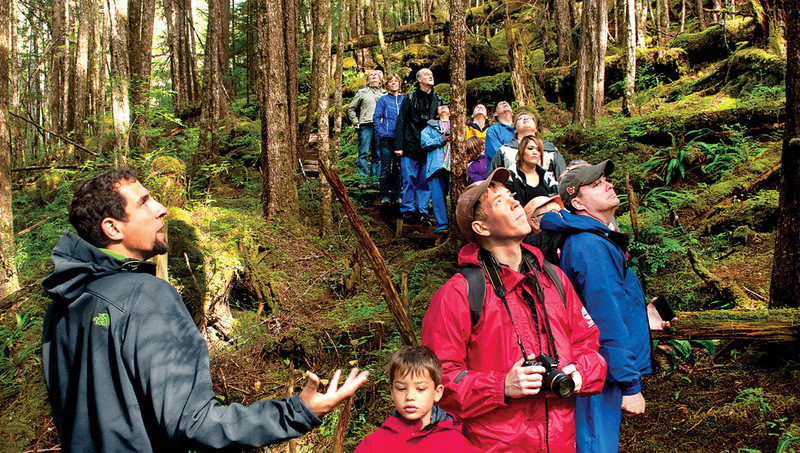 Join an experienced Alaskan trail guide for a walk through natural, unspoiled beauty of this coastal rainforest. 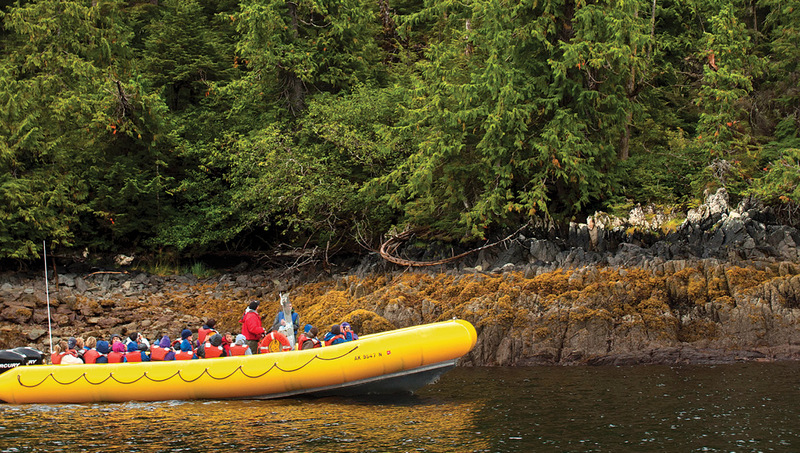 The trail takes you through a beautiful old growth forest, by way of a secluded beach. This mostly boardwalk path is about one-mile in length and well maintained. Follow your knowledgeable guide through this ancient forest and learn about botanic species native to this region, such as the Western red and yellow cedars which Alaska native cultures have depended on for spiritual enrichment, shelter and transportation, and how the Sitka spruce was instrumental in the construction of Howard Hughes’ famous “Spruce Goose” and other early vintage fighter planes. After hiking this gently sloped historic trail, gather by the campfire to enjoy an Alaskan-style snack. 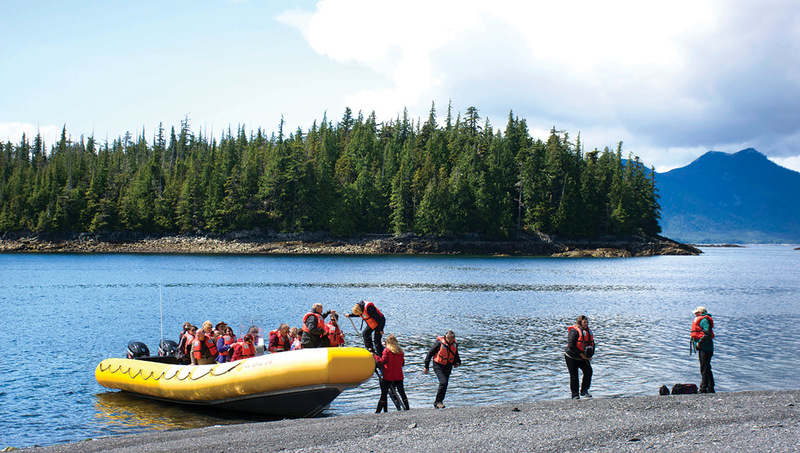 Take some time to explore the natural beauty around you before reboarding the Seahawk for the return trip to Knudson Cove. Bring your camera and binoculars!